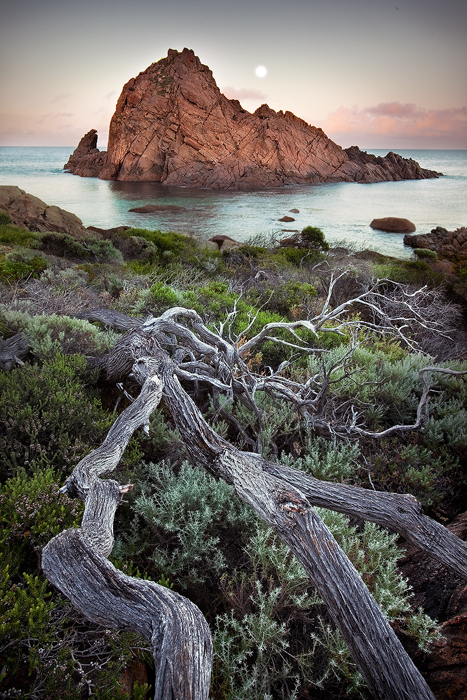 I managed to get down to Yallingup / Dunsborough over the weekend, which was great seeing as it has been so long. Even though this location has been done to death I still really enjoy shooting it. When I awoke on the Saturday morning I noticed the sky to the east was cloudless and boring so I decided to head over to Sugarloaf Rock and shoot the setting moon to the west. I doubt I will ever tire of this location.